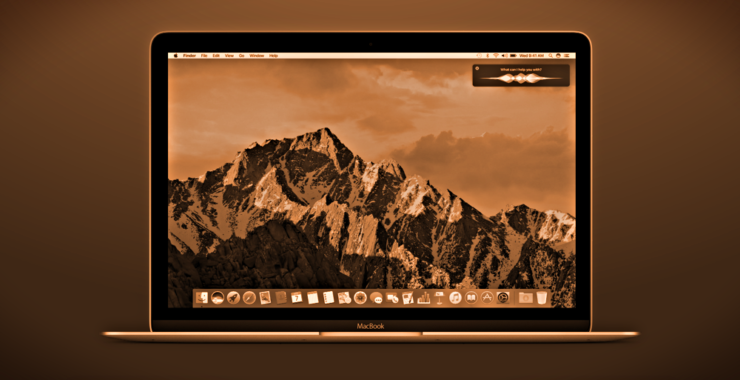 Yesterday, Apple had seen fit to release macOS 10.12.4 update that brings a few changes in the firmware. One of the most notable features part of the update was the Night Shift mode that shifts the display hue to a much warmer end of the spectrum. However, the feature may not have the kind of impact on the display which it was developed for. Let’s see some more details on the matter. Basically, the Night Shift mode and f.lux alters the color temperature of your display. Specifically, it lowers the blue light output that potentially disturbs your sleeping cycle. The team member shared some data that depicts why f.lux is a better option for users. To begin with, f.lux concludes that Night Shift does not greatly reduce the blue light levels. To prove this notion, the color intensity chart shows the level of blue light before a user’s typical bedtime. As can be seen, the blue light is not filtered as much as it does on f.lux. Hence, making f.lux a better option. In the case of f.lux, the blue light is filtered dramatically. Overall, the chart proves that the f.lux’s color adjustments have a far more significant impact on the user compared to what Apple’s Night Shift has to offer. Do check out the entire f.lux post for an in-depth insight on the whole scenario. As of now, taking into account the light intensity charts, f.lux delivers a better performance in reducing the amount of blue light emitting from a display. Nonetheless, there will probably be more to the story, so be sure to stay tuned in for that. As for now, what are your thoughts on the new Night Shift mode in macOS? Are you enjoying the rest of the features part of the update? Share our thoughts with us in the comments.